Good Witch is an American 60 minute scripted fantasy television series, which kicked off on February 28, 2015, on Hallmark Channel and is broadcast every Sunday at 21:00. The show is currently in its 5th season. Hallmark Channel has officially confirmed the renewal of Good Witch for Season 6. The exact release date is yet to be announced so far. Sign up to track it down. Cassie Nightingale, Middleton's favorite enchantress, and her young-teenage daughter Grace, who shares that same special intuition as her mom, welcome Dr. Sam Radford and his son to town. When the New York transplants move in next to the Grey House, they are immediately spellbound by the mother-daughter duo next door, but Sam and Cassie quickly find they may not see eye to eye. With her signature charm, Cassie attempts to bring everyone together, ensuring all of Middleton is in for new changes, big surprises and, of course, a little bit of magic! July 26, 2018 - In the wake of continued strong ratings in its fourth season that concluded July 1, Hallmark Channel has renewed its hit, original primetime series "Good Witch" for season five. "We're thrilled to continue the journey in season five and can't wait for fans to see what's next for Cassie, Sam, Grace and the rest of the captivating cast of characters that inhabit Middleton," said Michelle Vicary, Executive Vice President, Programming and Network Publicity, Crown Media Family Networks. 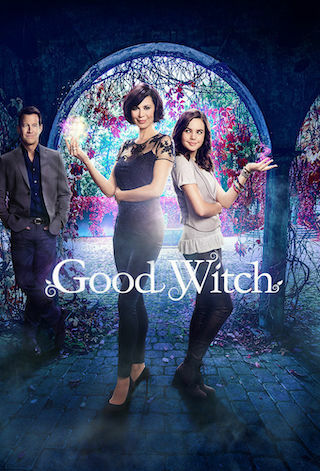 In season four, "Good Witch" ranked among the top two highest-rated and most-watched original scripted cable series of the week among Households and Total Viewers. Season four propelled Hallmark Channel to be the highest-rated and most-watched cable network during Weekend Prime among Households and Total Viewers for the full season, excluding sports.